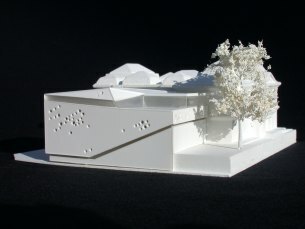 An existing museum extension of architect Werner Düttmann that was built in the 70ies became difficult to use due to it‘s small and winding shape. Düttmann‘s low building looks weak compared to the massive old museum, that is was built in classicistic style. 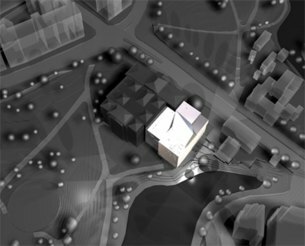 We propose to demolish the Düttmann building and to build a new extension that connects closely with the old Museum and utilises the potentials that lie in the topographic situation. 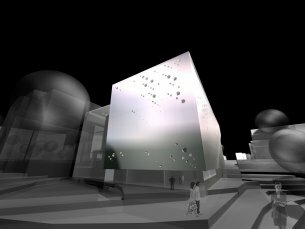 This competition entry for an addition to the Kunsthalle Bremen in Bremen, Germany intents to celebrate the existing structure by creating an addition that contrasts the current museum and yet still allows the public to enjoy the older structure. 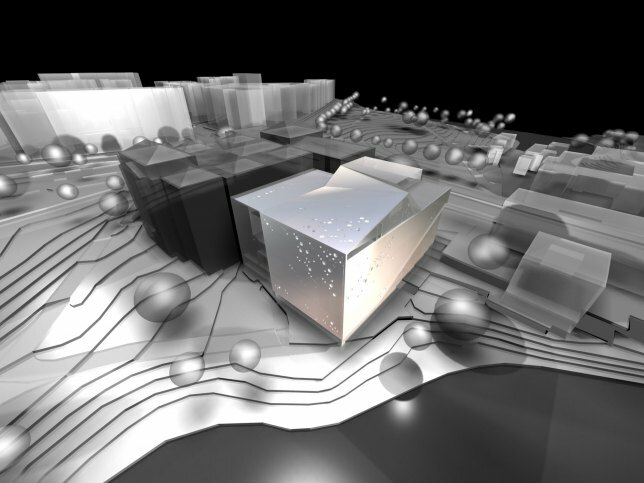 The new structure folds itself in space, organizing the inner and outer space on different levels. The facade is perforated and allows for different grades of transparency and views.